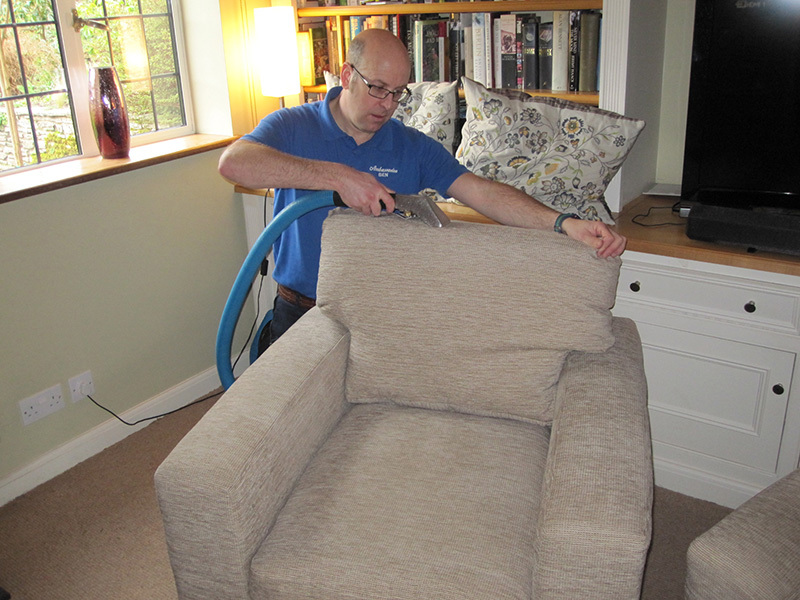 All types of upholstery, including cotton, linen, natural velvet and synthetic velvet (e.g. Draylon), leather and suede effect. All safely cleaned to the highest standards. Years of built up soil and stains are removed using our powerful machines and effective products. Soft white towels used to absorb the last residues of dirt. Fabric protector extends intervals between each professional cleaning and helps the layperson to simply remove most spillages and stains themselves. Leather is cleaned and restored using a combination of manual application of gentle cleaning products, and a final mechanical buffing. A finishing treatment replaces natural oils and restores suppleness. Conditioning polish replaces natural oils and protects the leather.